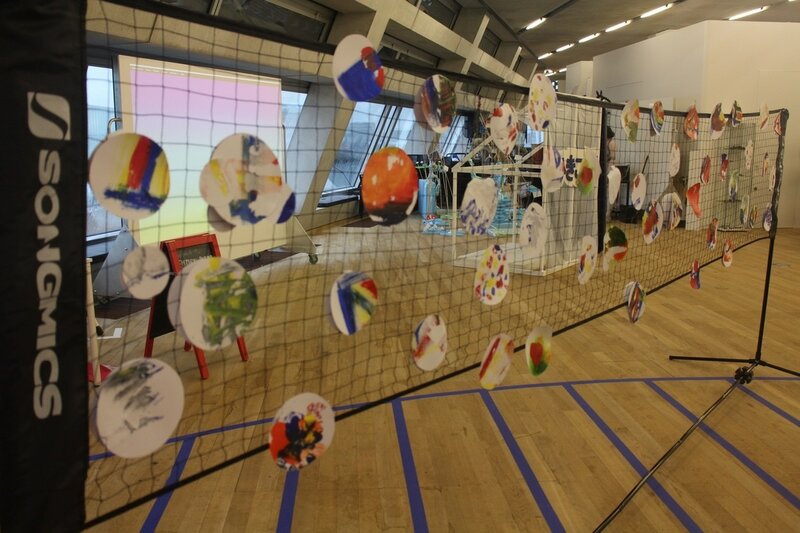 The art school created by students, staff and alumni of Central Saint Martins, University of the Arts London explores what the future of arts education in the UK might look like. With the public invited to join workshops, seminars, studio-making and lectures the standard orthodoxies of art education are questioned and upturned. A feature of postmodernism is that contemporary artists feel free to draw on anything and everything in making their work. But, as Danto cautions, along with freedom comes the possibility for gradual decline into disorder. ‘The contemporary is from one perspective a period of information disorder, a condition of perfect entropy. But it is equally a period of quite perfect freedom.’ (Danto, 1997). This tension between artistic freedom and chaotic disorder seems to have parallels with the concept of precariousness as described by Lorey (2015), in which the neoliberal state, as it withdraws its collective social and political protection, offers freedom in exchange for ‘insecurity, ….vulnerability, destabilisation and endangerment’. Individuals are left increasingly to fend for themselves, and are expected to become self-regulating for fear that they might drop through the net. Those who are able to do so are able to enjoy the benefits of the new found freedom; those who are not slide into greater danger and insecurity. Arendt compares artists, the virtuoso worker - a term coined by Marx, with those who are politically active (Arendt, p.151) both ‘exposing’ themselves ‘to the gaze of others’. According to Arendt ‘whatever occurs in this space of appearance is political by definition, even when it is not a direct product of action’. By acting in the public sphere, the virtuoso artist exposes herself to unpredictability and insecurity in her work. However according to Lorey, ‘when the presence of others is reduced to a capitalized product relation, the compulsion to prove one’s own virtuosity becomes a self-referential and competitive servility’ (Lorey). This is a form of artistic freedom based on a precarious insecurity. 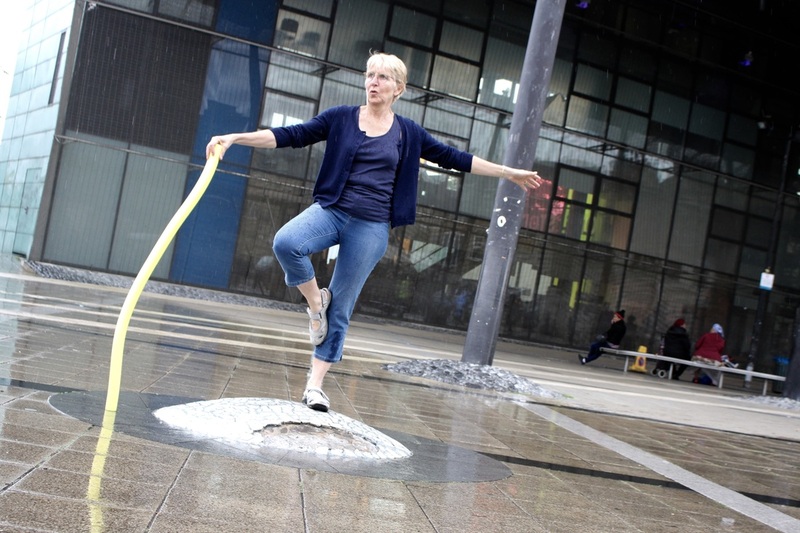 Commissioned by Harlow Art Trust; a collaboration by 4 artists making work over one weekend in March 2016 to drawing attention to the towns sculpture and permanent water colour collection. 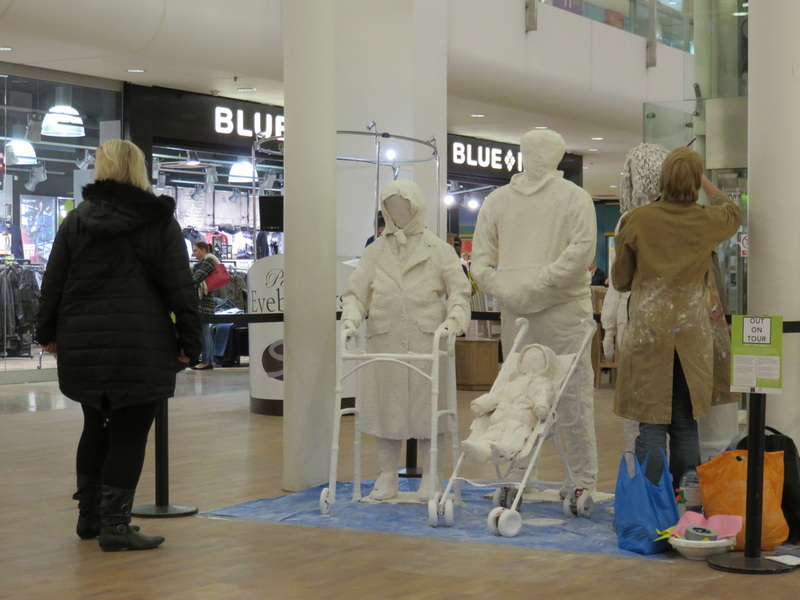 My contribution to the' Out On Tour' collaboration was a work finished on site over 3 days at The Harvey Shopping Centre. At the end of the event the finished work was exhibited in the window the Civic Centre for 3 weeks followed by 3 months in the towns public library. Made from scrap materials and plaster, the project aimed to make visible to the public the practice of making art and, in so doing, to stimulate questions about the pieces in the town’s sculpture collection which includes Henry Moor's Harlow Family Group (1954-55) which now sits in the Civic `Centre. An collaborative project involving 9 students for Central Saint Martins. The work draws on Marx’s analysis of the ‘Capitalist Mode of Production’ in the 1st chapter of ‘Capital’. Setting up and working in a ‘factory’ the team of 9 'workers' made as much work as possible out of scrap materials over a 4 hour period. 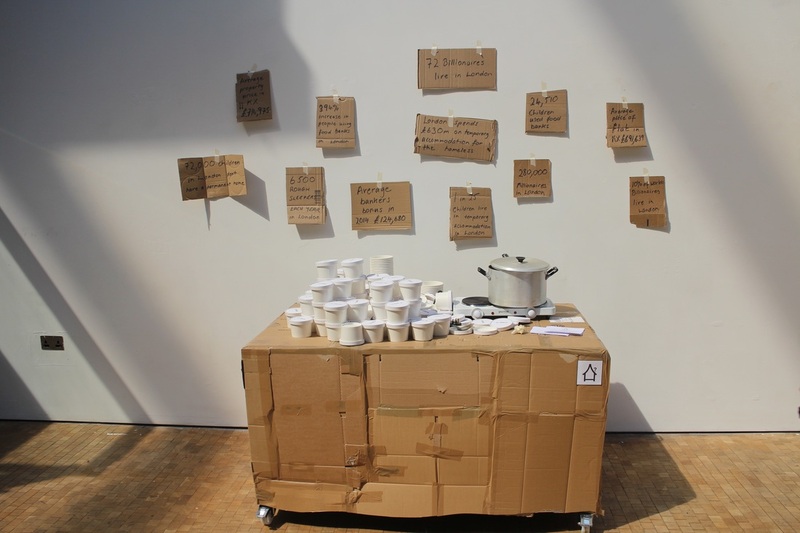 The following day the team set up a 'shop' installation to display and sell the work for £1 per item.